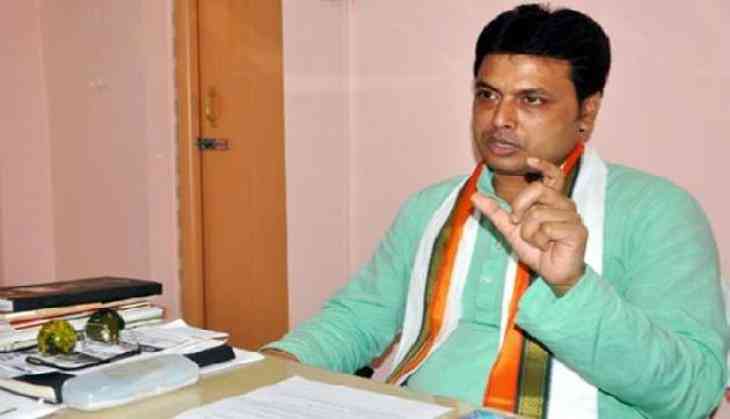 Students from across the nation has condemned the statement made by Tripura Chief Minister Biplab Kumar Deb, where he suggested the youth to open a paan shop rather than running behind a government job. Speaking to ANI, a student termed the chief minister's statement as a "worst" comment made by any leader sitting on such a position. Another student said that the Deb's suggestion will bring a dip in the Indian economy and the country will never be able to compete with other developed nations. "If all the youth of the country open paan shops then the country will remain underdeveloped and will not be able to compete with other countries. It will destroy the economy," he said. Meanwhile, a paan shop owner, Bharat Tiwari welcomed the chief minister's statement saying that the idea suggested by the latter is appreciable. He said that to sell a paan is not an easy job and only the one who can make good paan can excel in this business. "In a government job, people get monthly salary, but in our job, it is not like that. Our work is more difficult than a government official, we have to deal with different kind of people," Tiwari said. Deb on Saturday said that especially the educated section, not to run behind politicians for government jobs, rather become self-employed by starting various projects like open paan shop or milk cows.